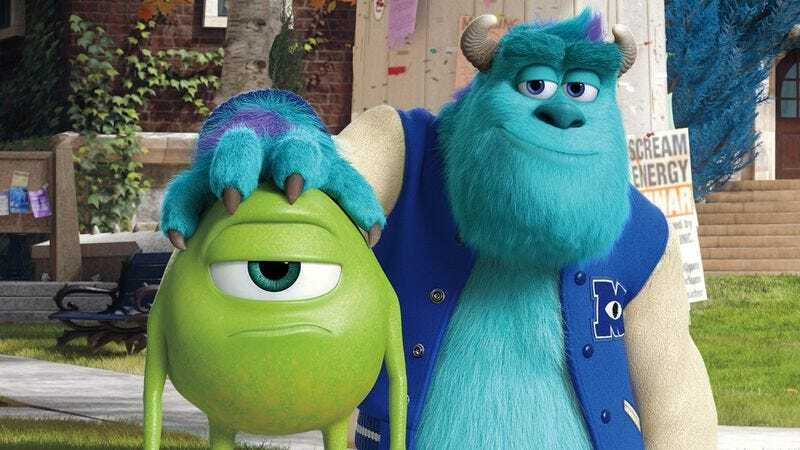 Sensing that perhaps not everyone left Monsters Inc. saying, “That was great, but I wonder what sort of secondary education those monsters went through before joining the monster workforce?” Pixar has announced that it plans to ease back on all the sequels and prequels, sort of. “For artistic reasons … it’s really important that we do an original film a year,” Pixar president Ed Catmull tells BuzzFeed, implicitly acknowledging that movies such as Cars 2, Monsters University, and the upcoming Finding Dory are less “art” than product. “Every once in a while, we get a film where we want or people want to see something continuing in that world—which is the rationale behind the sequel. They want those characters, which means we were successful with them. But if you keep doing that, then you aren’t doing original films.” With that in mind, Catmull has pledged a “one and a half” strategy, where each year sees one original film and every other year sees one sequel, on and on, until we are finally the corpulent blobs of WALL-E, complaining from our floating Barcaloungers that we’ve already seen Monsters Mandatory Sexual Harassment Seminar, yet there’s still no Incredibles 2.